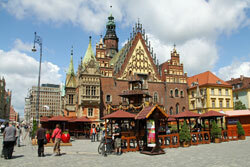 Looking to take a Self-Catering Holiday in Poland? Find apartments, villas and holiday houses to rent for a holiday in Poland. 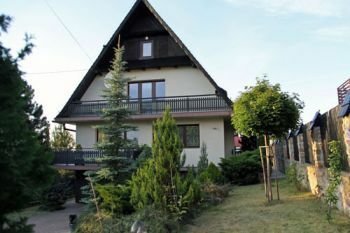 Whether you are planning to visit Krakow, Warsaw, Zakopane in the Tatras or the Baltic Sea Coast, Countrycottagesonline.net can help you find a good value holiday rental in Poland. Plus read on for more ideas and inspiration on what Poland has to offer for cottage holidays. Poland is fast becoming a new holiday destination. At one time, Poland was mainly visited by expats or relatives of expats and over the years, as Poland’s infrastructure improved and tourists discovered its historic cities, beautiful rural areas and the Tatra mountains in the south, a tourist industry began to rapidly expand. Krakow or the English version Cracow, the former Polish capital has been a city break destination for a good number of years. In common with most Polish cities and town, Krakow has a fine Old Town with a huge market square lined with former merchant’s buildings and an impressive town hall. The buildings are painted in attractive colours and this is where pavement cafés are found and tourists congregate. Every Polish city has a similar Old Town area and a market place or rynek around which many tourist attractions are situated. There is a wealth of eateries for all pockets and the cost of eating out is still lower than in many other countries making Poland an attractive self catering holiday destination. The main cities of Warsaw, Gdansk, Krakow, Wroclaw, Poznan, Lodz, Szczecin, Zakopane and Lublin are all worth exploring for their stunning architecture, culture and cuisine. There are Lakeland areas in the north west at Kaszuby and in the north east in Mazury where people go to canoe, kayak, fish and enjoy the scenery beside the water. Skiing is a national pastime during the winter and the best ski slopes are in the south of Poland. Zakopane is the highest and main ski resort where winter Olympics are held. It has ski jumps and more slopes than you can imagine. There are numerous other locations in the south with ski slopes and ski centres to satisfy skiers of all abilities. The reasonable cost of holiday accommodation, eating out, tuition and ski hire makes Poland a good choice for family ski holidays.